A VIDEO of a man driving dangerously on a main road in Costa Blanca has gone viral. Footage shows the driver breaking suddenly and switching lanes to prevent the car behind him from getting away. The two cars almost collided on several occassions. 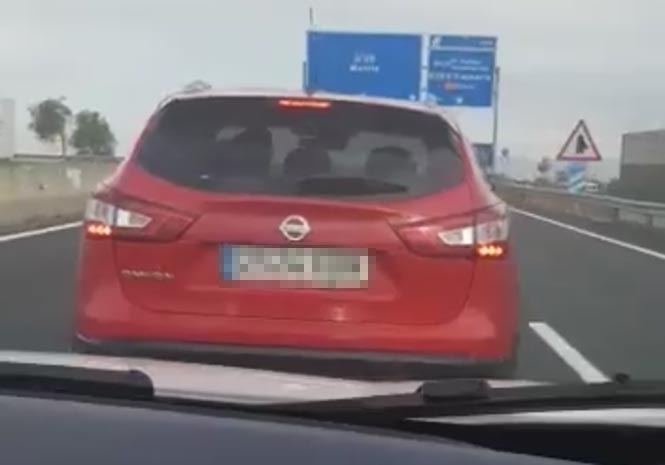 The passenger in the car being harassed can be heard saying “something bad is going to happen, try and get out of the way,” as the red Nissan continued to drive erratically. Eventually the pair get alongside the other car and when the driver notices he is being filmed he speeds off ahead. The video was posted on Facebook saying “gotcha!” and has almost four million views. The incident has been reported to the Guardia Civil, and the pair claim there was “no altercation” before the video was recorded.